Dr. Runstadler seeks to understand genetic factors that impact susceptibility to infectious disease, specific or general and the repercussions for potential epidemics, persistence, and evolution of those infectious agents. His research is conducted within the context of the interactions that define the ecology between an infectious agent, the environment and the host. His focus is on the host/agent interaction and exploring a variety of approaches that may shed light on these interactions. 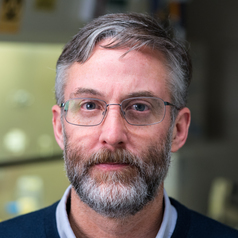 His new research initiatives seek to break down traditional academic boundaries and bring together collaborative teams to address issues including the identification of disease vectors, the role of environmental change and pathogen persistence, population genetics and evolutionary biology, and the ecology of infectious agents.